Pharmaceutical manufacturers are businesses, not healthcare companies. Their business is making profitable drugs that will be widely prescribed by doctors and used by as many consumers as possible. As business people, their primary loyalty is to their shareholders. All decisions on which compounds to develop into drugs and which to bring to market are driven by profit, the competitive landscape, and speed to market. much of the scientific literature, perhaps half, may simply be untrue. drugs to treat cardiovascular disease, diabetes, cancer, and central nervous system disorders. Many of the diseases that these drugs treat are lifestyle related illnesses. If many of these symptom sufferers led a healthy lifestyle, they could reverse and/or prevent many of these diseases. But Pharma is not in the disease prevention business. They are in the disease treatment business. Doctors are not taught to promote wellness and prevent disease, they are taught to treat disease. So, prescriptions are dispensed as first line therapy for most symptoms. When consumers feel they can control their symptoms and ultimately, their health, by just popping a pill, they mistakenly believe that they are also overcoming their disease. But by not changing their lifestyle, they are just masking the symptoms. For example, in the case of cardiovascular disease (CVD) and diabetes, by not choosing a healthier diet and by retaining extra weight (especially abdominal body fat), patients remain prone to other diseases and will subsequently require more medications. Patients who take daily medication are also unknowingly taxing their organs incrementally. It is in Pharma's best interest that you not make lifestyle changes, but instead choose to take their drugs to treat your symptoms. Your disease may stabilize, but it will not reverse. If you will not change your disease-causing lifestyle, you will become dependent on the drug to manage your symptoms. Any side effects of the drug will lead to more drugs to treat those symptoms. It's a vicious cycle that keeps Big Pharma profitable. "The medical profession is being bought by the pharmaceutical industry, not only in terms of the practice of medicine, but also in terms of teaching and research. The academic institutions of this country are allowing themselves to be the paid agents of the pharmaceutical industry. So, how do pharmaceutical companies choose which drugs to develop? They look at what have been blockbusters (big sellers) in the past and make more of those. Hypertension is great example of a blockbuster gateway drug. The Framingham Heart Study, under the direction of the National Heart, Lung, and Blood Institute (NHLBI), began studying cardiovascular disease (CVD) in 1948. After each study, they report their findings. Yet physicians were not trained to recommend increased physical activity to their hypertensive patients. In 2015, The New York Times reported that SPRINT, the study on 9,300 men and women who were at risk of heart disease, would be terminated early because the results were so compelling that the researchers wanted to publish as soon as possible. As a result of the published data, doctors and prescribing nurses were trained to prescribe HT medicines to people with lower diastolic and systolic numbers than they had prior to the published study. More patients on more meds. Not only were the "favorable" data pushed down through the medical community, they were "pulled through" the patient community via major news publications such as The New York Times. Even more compelling, major media via magazine advertisements and promotional news spots on television called video news releases (VNRs) were used to reinforce the consumer messaging. All medical communications and consumer information is produced by Pharma's ad agency. The SPRINT trial (Systolic Blood Pressure Intervention Trial) was designed with the outcome in mind. As soon as they reached their desired conclusion, the study was stopped to deliver the "good news" to the public and to change the protocol for what determines HT. Now, doctors were prescribing HT meds earlier to patients who might not be at risk in the interest of protecting their vasculature from possible future heart disease. As an aside, the SPRINT study was named by the advertising agency used to brand the clinical trial. Controlled brand building generates excitement and allows the marketing message dissemination to begin with a catchy name that connotes a positive forward-thinking movement. These names are not pulled out of the air. They are carefully crafted by expert marketers who know how to prep and sell the target market on the concept they endeavor to get adopted by program, protocol, and product advocates. The advocates are Thought Leaders in CVD who are already talking about the trial before it has even been completed, thus influencing lower-tier prescribers all the way down the chain to your own General Practitioner. The protocol was written in advance of the study by the medical education agency, a subsidiary of the advertising agency, and the spin began long before the trial did. As a result, a soon-to-be launched new HT medication was not only embraced, but reached blockbuster status right out of the gate. The SPRINT trial was funded by the NHLBI and the National Institute of Diabetes and Digestive and Kidney Diseases (NIDDK). 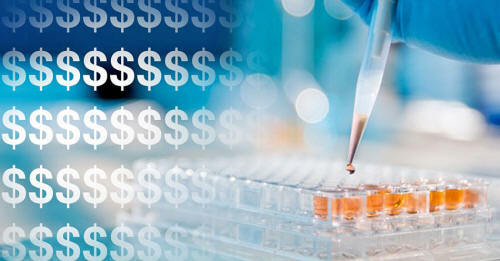 Those organizations received their grant money from the pharmaceutical industry, most notably from the company whose drug was planned to launch upon the release of the new data. I take no pleasure in this conclusion, which I reached slowly and reluctantly over my two decades as an editor of the New England Journal of Medicine". In summary, I'll quote J. Michael Pearson, CEO of Valeant Pharmaceuticals, who flat out admitted on April 13, 2016 that his first responsibility is to the shareholders, not to the furthering of healthcare outcomes and the consumers of their drug products. Instead of investing in new breakthroughs, Valeant relies on lucrative drug acquisitions and price hikes. More and more, it is only the wealthy who can afford quality healthcare, not the average consumer with modest healthcare insurance plans. In 2016, 56 of Valeant's drugs increased in price by 66 percent. Their latest drug acquisition prompted a 550 percent price increase. "My primary responsibility is to Valeant shareholders. We can do anything we want to do. We will continue to make acquisitions, we will continue to move forward." With that message coming from the top, it's easy to see how patients are the ones who will suffer from Pharma's greed. Pharmaceuticals continue to make choices based on how much money they will make, not on how many patients they can help.